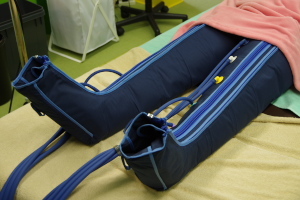 We respond to various needs by practicing the Five Stiles combination technique theory justified the latest treatment equipment. 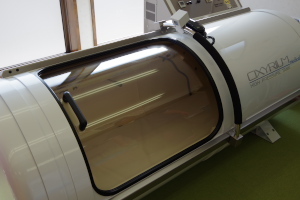 Short by increasing the blood oxygen levels in the machine to be used in the hyperbaric oxygen therapy machine capable of such fatigue. 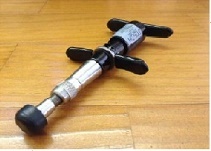 A machine to remove fatigue and swelling of the legs by pressure in the compressor. 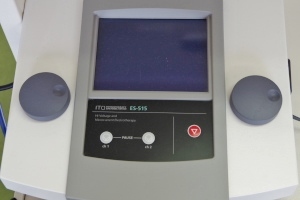 6 channels = is allowed to simultaneously interfere four electrodes can be electrically treatment of six sites by giving a stimulus to the muscles of the deep therapy machine for removing the pain. You can remove the pain by using a higher frequency of high frequency, to be used for rehabilitation of cerebral infarction paralysis. 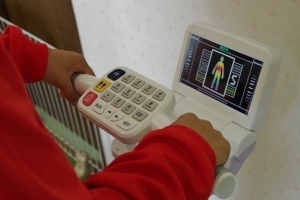 And it is measured alleviation of pain by applying ultrasonic waves to the affected area, the treatment machine that performs massaging without damaging the bone. 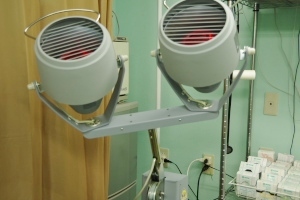 It can also be treated with the combination of a high-frequency therapy equipment. 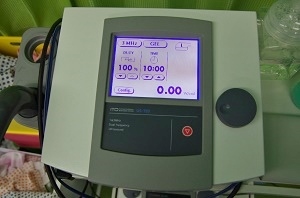 Treatment machine to warm the affected area to alleviate pain. 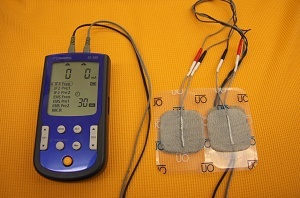 By using the low frequency relieve pain in superficial muscle machine. 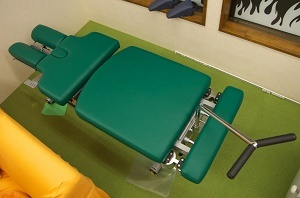 Bed for chiropractic, by using in such as the patient's low back pain, the table to cure such as mild herniated disc disease. 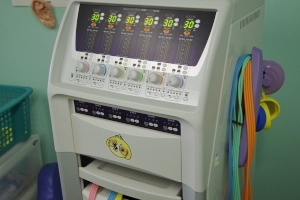 By giving a shock by shifting the skeleton in the machine for chiropractic, return the distortion to the original machine. 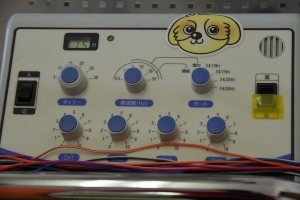 Machine for the treatment by flowing a current to the affected part connecting the electrode to the acupuncture that is piercing. 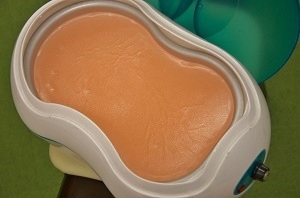 Relieve pain in the joints by repeating to put their hands in the melts are paraffin (wax). In addition, we have been introduced recently in such there is also a moisturizing effect of hand Este.